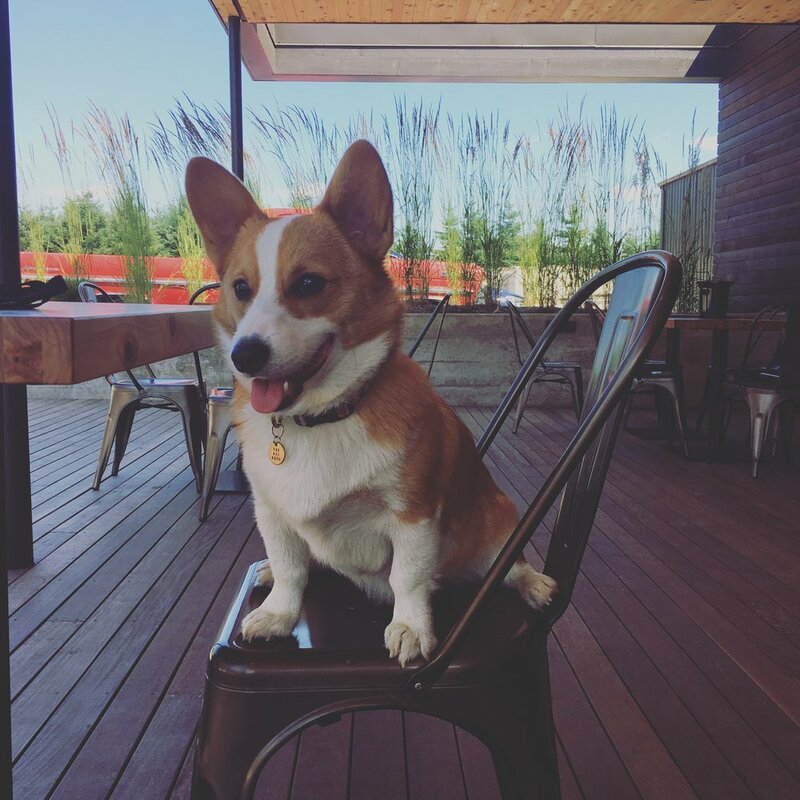 Monty the Corgi is our April Dog of the Month! This Pembroke Welsh Corgi has stolen all of our hearts here at No Bonz About It. Monty has been coming to No Bonz for over a year now. This little guy has proven he’s got a big heart and a huge personality. He definitely can run with “Big Dogs” despite his little short legs. His favorite thing to do here is to wrestle it up with all the other Corgi’s to make what we call our Corgi Pile. It makes for a lot of laughs and fun times for all of us. We are very honored to feature Monty as our April Dog of The Month. And now a word from Montey's owner, Breylan! 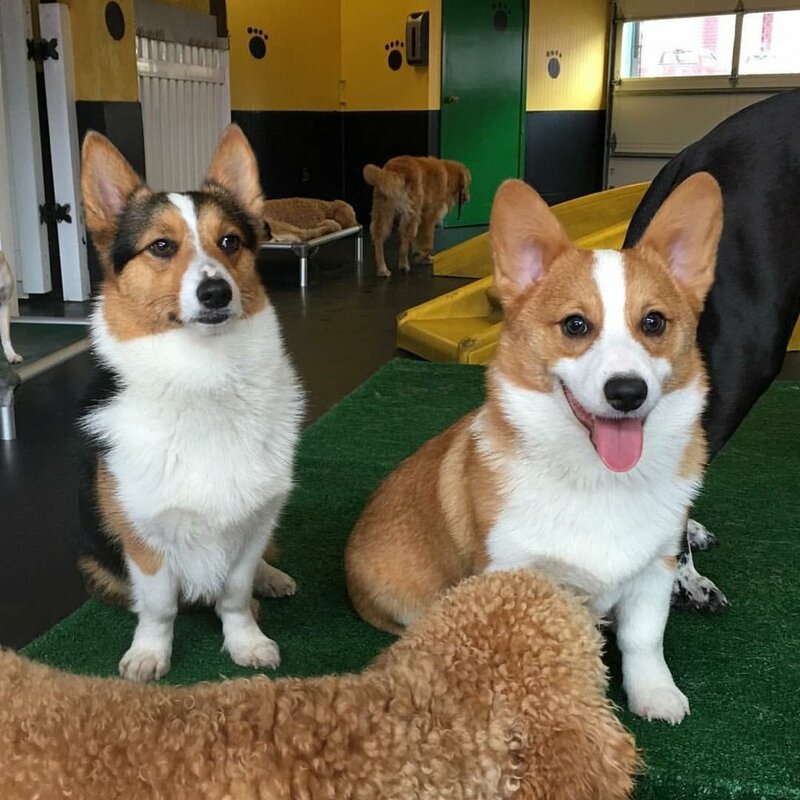 “Monty is a spoiled 19-month-old Pembroke Welsh Corgi. He’s the heart of our home and always cracks us up with his boundless energy and silly personality. Monty’s favorite hobbies include going to the beach and playing fetch. When he’s not at daycare, he can be found lounging on the couch at home begging for scratches and belly rubs, or woofing at passerby’s. Monty loves to meet new people and is known to enjoy cookies, homemade and store-bought alike!